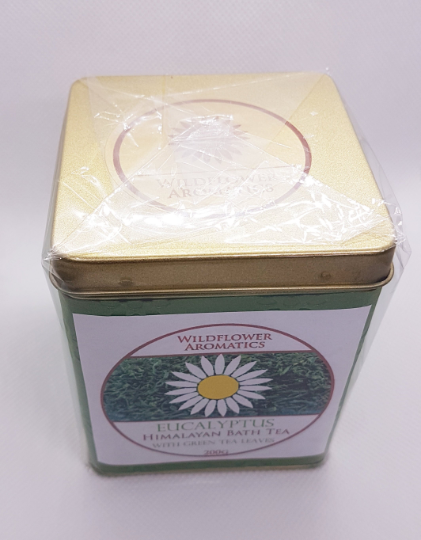 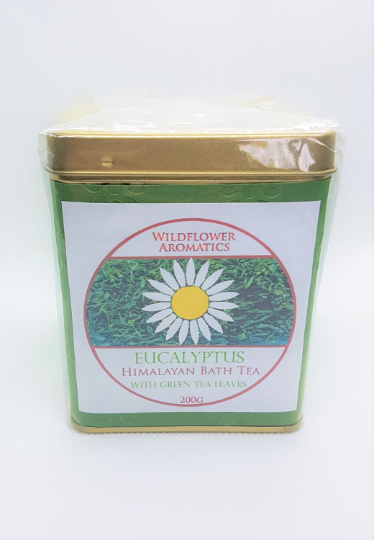 Detoxifying Aromatherapy Bath Tea, infused with Eucalyptus essential oil and Green Tea leaves. 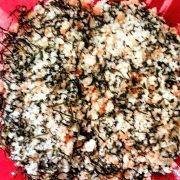 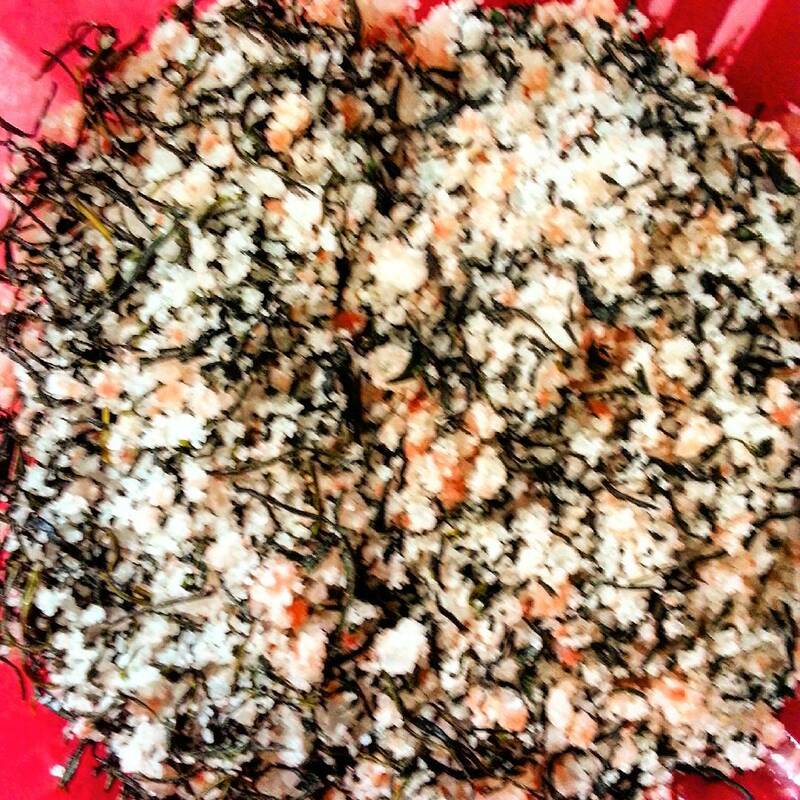 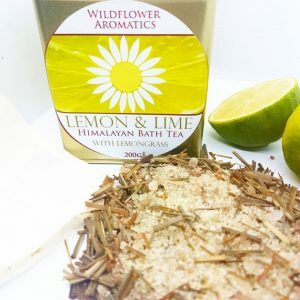 With pure Himalayan salts and extra virgin Coconut oil. 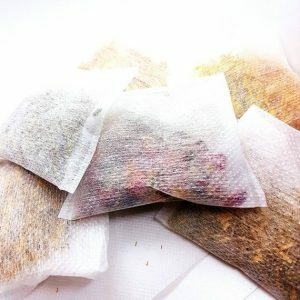 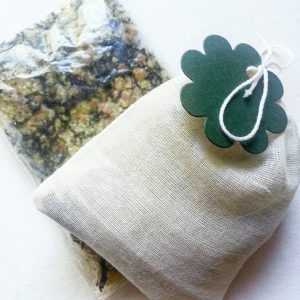 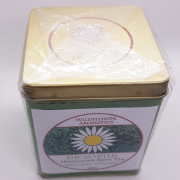 Can be used with a bath tea infuser, to contain the botanicals.